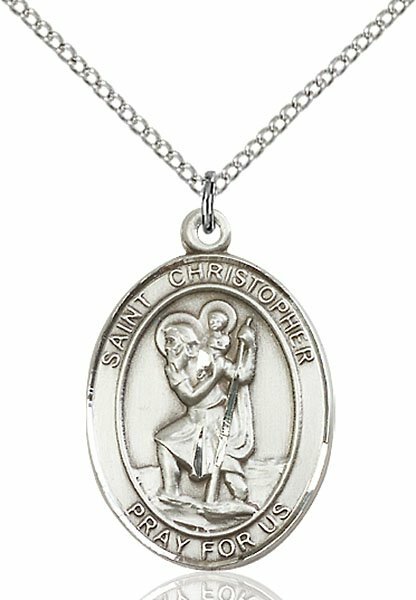 The vertical measurement of this sterling silver medal is 13/16 inches (2 cm.) 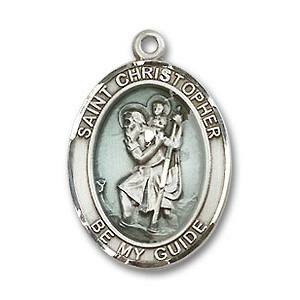 In order to provide greater detail, medals are not shown actual size. 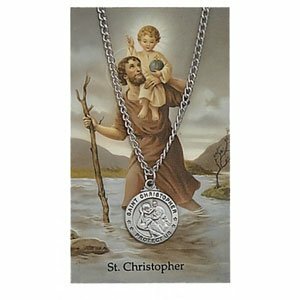 St Christopher is the patron saint of travelers. 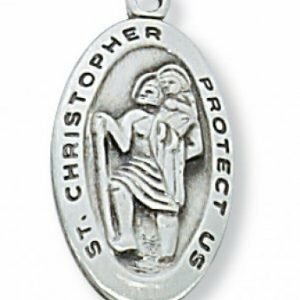 He is also invoked against sudden death, accidents, plagues, and all mortal danger. 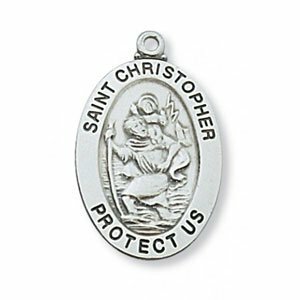 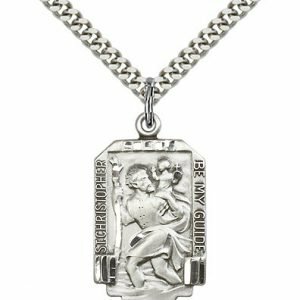 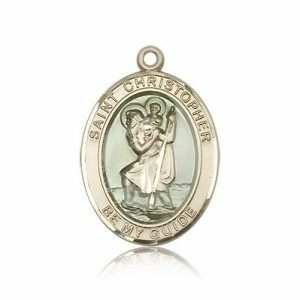 Learn more who is Saint Christopher?